I always set myself some reasonable goals for the following business year. 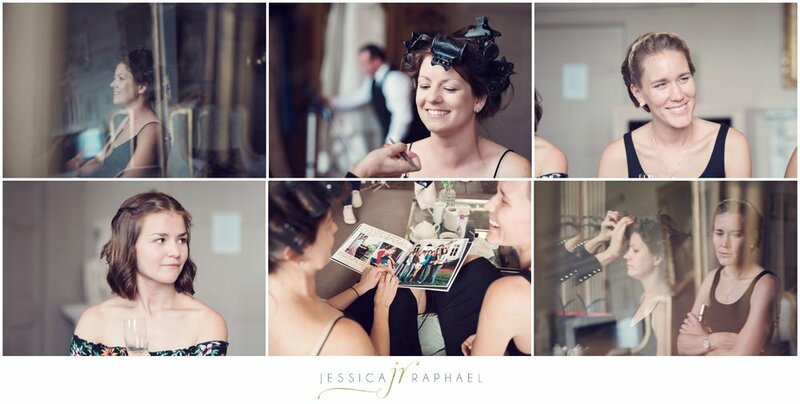 Last year was to photograph a wedding at Aynhoe Park & have a destination wedding in Italy. I can happily say BOTH have happened this year, so let’s start with what I think is the best wedding venue in the UK. Yep, I said it. When Kristine emailed me saying their wedding was at Aynhoe Park I think I frantically started stabbing the keyboard in excitement. Kristine is from Norway & Liam Canada, they are avid travellers so it was from the power of word of mouth how they found me & I am oh so grateful they did & chose to book me for their day. Aynhoe Park is a 17th century country house which has been remodelled & is an interior designers dream, the taxidermied animals might not be everyones cup of tea but I found it fascinating & felt like we had gone through the wardrobe into Narnia. Kristine quoted one of her guests who obviously thought the same - “It’s like we have found Narnia but now we have to leave.” Truly magical! I made sure Rob & I arrived extra early as I knew we would be overwhelmed, so we explored the venue & tried to take as much of it in as possible. I feel this venue can be quite dangerous for photographers who could get over excited & not know where to begin, so I was really glad I had Rob with me as it’s a place where you would feel like something is always missed if you were to photograph it alone. There’s too many hidden gems around every corner, or even staring you in the face but you don’t notice until you walk by a second time. So although the venue is spectacular I also found it daunting as I was intimated by it’s beauty - to begin with. Once we had familiarised ourselves & met the extremely lovely butler Mark, I knew we were in for a good one! So yes, this brings me onto the butler Mark. Not only are you in incredible surroundings, but you are being treated like a prince & princess. I couldn’t believe I - THE PHOTOGRAPHER was offered a coffee to begin with, but then when it was followed with “any preference - Cappuccino, late, flat white?”…. (for a photographer this is a big deal). Mark came & steamed Kristine’s dress whilst her makeup was being done by Sarah Yeo, & endless sandwiches & the best carrot cake in the world were also delivered. Rob stayed with the boys & I think was in his element photographing them amongst the coolest surroundings. The next ‘challenge’ (please may I add I say challenge positively) was that Kristine & Liam wanted to do a first look & most of their couple photos before the ceremony so they could spend more time with their guests. Now, I did feel the pressure as I had never done this before; this is very popular in America but doesn’t happen here in the UK. If it does, it’s very rare. So I wanted to make it as special & stress free as possible but also needed to make sure none of the guests saw Kristine. Rob & I were texting from different sides of the building to make sure the coast was clear, then I took Kristine outside & we hid behind an unusual tree whilst Rob & the best man guided Liam who had his eyes closed all the way across the lawn to us. Then we stood them opposite each other & then once I was ready I told them to open their eyes. It was honestly one of the most gorgeous & intimate moments I have ever seen at any wedding. Watching Liam’s face & being able to capture his expression so close was so moving & I actually felt privileged they were letting us witness it! This also made the photos even more intimate & special I felt. Once we had strolled the grounds we went back to the house ready for the ceremony where I was blown away again by their celebrant Samantha Kelsie who performed the best wedding ceremony EVER. It was so refreshing seeing a ceremony just about the couple & making it so personal. It was lovely hearing Kristine & Liam’s story & I would highly recommend this as an option if you want something unique & bespoke to you for your ceremony. Also it was probably the biggest cheer I have ever heard for the first kiss, but I think that’s obviously down to the guests! LOVED IT. This was followed by a gorgeous drinks reception with what looked like the most delicious food. I was sort of in awe of everyone as most had travelled such a long way & it was lovely hearing Canadian & Norwegian accents, I said to Rob that I felt as though we were on a film set. This leads me onto the speeches, as in Norway the tradition is to have LOTS of speeches. There were 7 (I think…6 or 7) altogether & they were staggered through the food courses. So although this was long & each speech was a hearty length, I absolutely LOVED IT. Each speech was beautifully written, emotional, funny & just oozed charm & intelligence. I think I felt like one of the guests by the 7th speech, crying & laughing with everyone! (I need to also add how Mark looked after us amazingly on our break, even having to serve & look after everyone at the wedding he was so attentive & made sure we were really looked after. We ate so much carrot cake…….whoops). The evening did not disappoint, as the gorgeous orangey was turned into an incredible party room where Kristine & Liam shared their first dance, which again was fabulous, followed by Kristine’s dance with her father. I am annoying myself by how much I am saying everything was amazing, but it really was. It’s the only time I have ever turned to Rob at a wedding & said “I could get married here tomorrow”, but it wasn’t just down to the venue why I loved it so much, a big part of any wedding is the people & I can honestly say it was an honour being with such wonderful people, both guests & staff! I shall now let you look at a few of my favourite images which show the story of their day. You may have skipped straight to the images after looking at how much writing there was & thought “NOPE” but if you have read this blog - thanks! I am just very passionate about this one. “Thank you so much for the beautiful photographs!!! That was a really quick turn-around and we are so excited to have them already. There are so many beautiful images, and we need to go through them all again (and again!). It was such a pleasure to have you and Rob there. I know you have things going on in your life, but you were both so professional and lovely, and we had a great time with you! We often didn't even notice that you were there but only realised when seeing the pictures. Thank you for capturing so many moments of us as a couple, but also our family and friends - and the venue photos are beautiful!" Flowers by Herbert & Isles.